Magnetic overhead crane is a kind of material handling equipment, improved from double girder overhead crane. It is widely used in metallurgy and steel mill to handle magnetic black metal products such as scrap iron, scrap steel, shaped steel and pig iron. According to the work duty, we have light duty magnetic crane and heavy duty magnetic crane for your choice. 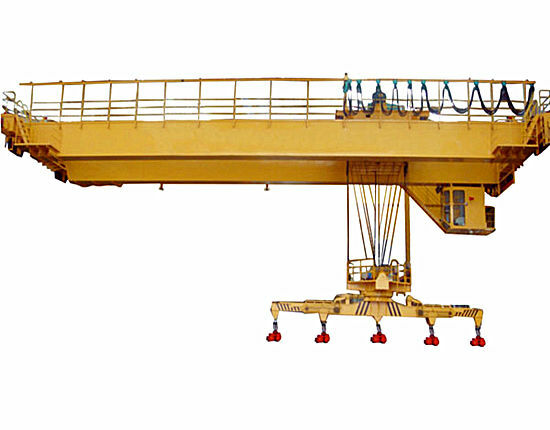 The lifting capacity of magnetic crane is usually up to 50 ton. Unlike the normal overhead crane, it is equipped with a detachable electromagnetic chuck which hangs under the hook, so the chuck can be removed when not used. Thus, the electromagnetic overhead crane can generate strong magnetic force, which makes it possible to be used in steel scrap recovery department and steel making workshop to handle dozens of tons of magnetic materials. The steel materials packed in the wooden boxes can also be handled in the same way. The overhead magnetic crane achieves an easy and convenient gathering and transportation of loads without needs of packing and bundling. Therefore, it greatly simplifies the working process as well as saves a lot of labor cost. The electromagnetic crane is generally divided into two types according to the type of electromagnetic chuck. 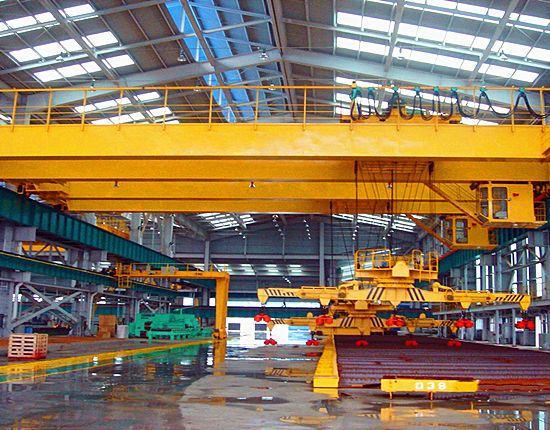 QC type overhead magnetic crane is the most commonly and widely used crane in the steel recovery and making plant. It is typically designed with magnetic chuck to complete the lifting and transporting task. The crane rated lifting capacity includes the electromagnetic chuck weight. This overhead hoist and crane we produce is available in various sizes and capacities to meet different needs of customers. 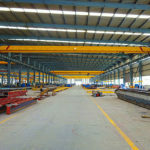 Another type is electromagnetic overhead crane with carrier-beam which is either parallel or vertical to the main beam. The electromagnetic chuck hangs under the carrier beam to undertake the material handling work. The length of carrier beam can be adjusted according to the size of lifting object, and the spacing of lifting points can also be adjusted to ensure a more safe and reliable operation. This electromagnetic lifting device with carrier beam is widely used in warehouse of steel mill to move long magnetic materials such as steel plates. Which magnetic overhead crane is right for your business depends largely on your operational requirements and applications, such as the type of loads, the frequency of your crane operation such as intermittently or constantly, the way of the crane moving, and the operation methods. We suggest you conduct a thorough consideration and inquiry. Contact us now and we will help find the right overhead crane suitable for your practical needs. The magnetic overhead crane has compact structure, high and durable quality. We have introduced advanced design and manufacturing technology, and strictly comply withthe related regulations and standards. All structural parts are made of high quality materials and components are purchased from well-known brands home and abroad. Besides, the welding of the steel structures is also under strict inspection and control by our specialists so as to ensure a high quality over head crane. The magnetic chuck we adopt has strong magnetic force, which not only helps lift and transport a large variety of metal products, but enables the crane to handle a large quantity of materials at a time. 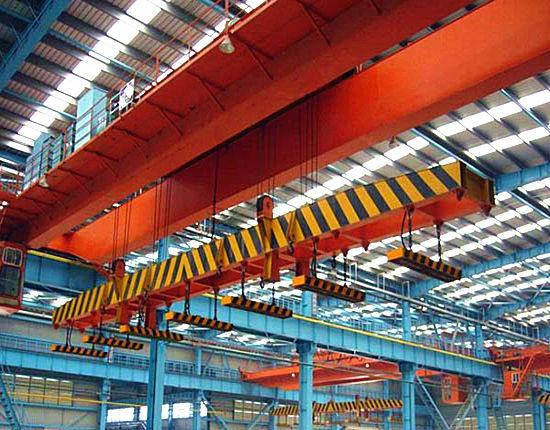 The electromagnetic double girder overhead crane has high safety in that various protection devices are installed to ensure a secure operation, such as limit switch, overload limit,lifting height limit and lifting weight limit. The overhead magnetic crane has high workingefficiency and good performance. The crane can handle tons of metal products at site without extra packing, greatly improving the efficiency and saving a lot of costs. Besides, different types and sizes of electromagnets are available to meet various needs of customers. We provide a full service of industrial overhead crane for our clients and always adhere to the principle of customer first. Our aim is to better serve our clients and create maximum value for them. Our service system can be expressed in several aspects. Overhead crane design. We aim to solve your materialhandling problems, and also provide the most suitable lifting solutions based on your specific requirements. In addition, we are capable of providing custom design for your special need. Our increasing strength is backed by our constant investment in the crane research and development as well as our experienced and strong technical team. Our engineers can provide technical support and help solve your crane technical problems. 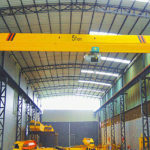 Overhead crane manufacturing. 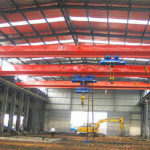 We are Chinese leading electromagnetic overhead crane factory with decades of manufacturing experience. We have a strict control system to make sure the crane has superior quality. For instance, the crane welding and painting in strictly inspected by our specialists to make sure the steel structure is solid and durable. Overhead crane installation. The magnetic overhead crane has an easy installation, and we will provide the crane installationguide service and onsite installation if necessary. Overhead crane maintenance. We offer the crane maintenance service to ensure a safe and efficient operation of your crane. Overhead crane operator training. Theoverhead crane safety training is necessary for both continuous and reliable operation in your factory. Users should pay more attention to the operator training so as to prevent the accidents in advance. We are not only overhead crane manufacturer and supplier, but the crane service provider. So if you are looking for a magnetic overhead crane or other material handling solutions, contact us online or leave us a message, and we are pleased to help solve your problems and provide the best solution for you!